Basketball sleeveless jersey for men. Mesh fabric. V-neck. Contrasting, cut and sewn hems and trimmings. Sleeve openings in frayed fabric. Normal fit. Specially designed for basketball. 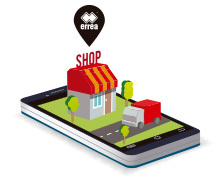 Dunk by Erreà is the basketball sleeveless jersey (for men) conceived for both matches and training sessions. The Dunk basketball jersey has a long and wide shape in order to provide the greatest freedom of movement and is made of breathable, resistant and stretch mesh fabric, for total comfort. 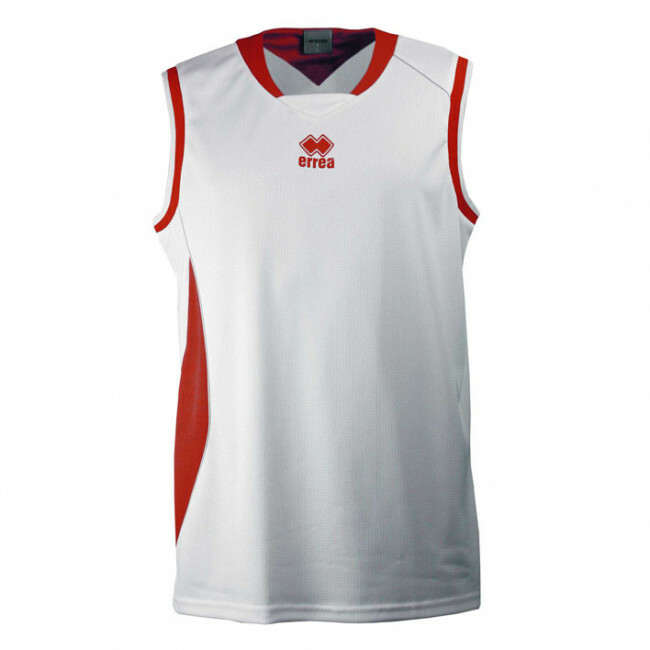 Thanks to the wide area in its front and back, this basketball sleeveless jersey allows the application of numbers and customisation items both on the front and back. Among the distinctive features of this basketball sleeveless jersey, we can certainly mention the ribbed V-neck with its internal piping that assure the greatest comfort and total durability.